About twelve years ago, Cory & I were calling our families and letting them know that we would be moving to China. It wasn't the first time we traveled overseas. We got married after our Sophomore year, then starting spending our summers abroad the next year. When we knew I'd be finishing school, one year after Cory, we weren't sure what to do next. There was an opportunity to stay and settle down, but our hearts yearned for more adventure before children came. Children that we didn't realize would be an adventure of their own. Children that we envisioned simply arriving once we opened the door, not understanding how complicated & hard that journey can be. But we were young, and that's another story. So we called our parents, on a sunny spring day, to let them know we'd be moving abroad. Looking back, perhaps a call wasn't the best method- but we were young (see above). Since we thought we were too young for a storage unit, we sold everything except our books & records. Whittled everything we owned down to two suitcases. There's something so freeing about carrying your whole world in a suitcase. Then we left for a year and a half. We learned a lot along the way, and were stronger for the journey. Afterwards we traveled back to the States, to continue our journey here. We've picked up a few passengers along the way (smile), whom we would love to travel abroad with someday. 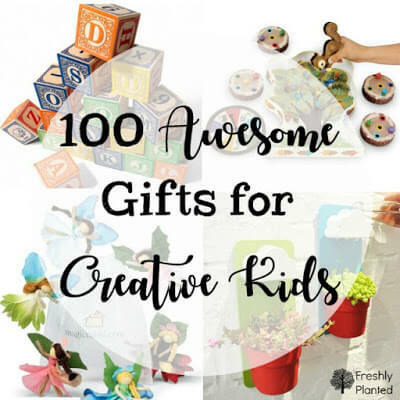 While we haven't been able to afford international travel (yet), we try to introduce them to other cultures in our home- especially through food, books, music, and crafts. This seasonal hanging scroll was a fun way to explore Chinese calligraphy together, which was a first for the kids. Isia especially enjoyed it, and I know we'll be doing more in the future! To create the flowers, an adult should cut apart a cardboard egg carton into multiple cups. Divide your cups between kids, and paint them into flowers. We used tempera paint, but acrylic would well, too. 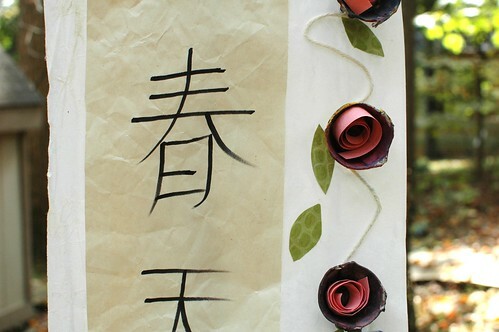 While the paint is drying, make a branch on the side of your scroll for your flowers to sit on. Make sure you leave a couple inches on the top of your scroll, you'll need it later. 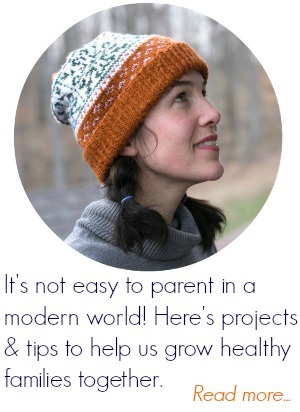 The kids decided where they wanted their yarn first, then we glued it down together. This is a good time to practice your calligraphy! We printed off our calligraphy sheet, then practiced on wipe-off boards. The kids then wrote them in pencil on a piece of paper that would fit onto the scroll. (Note: If writing both characters, you'll want to stack them- with "Chun"/"Xia" on top, and "Tian" below.) Once they were happy with them, they traced them with permanent marker & we glued them onto our scrolls. Glue your painted "flowers" onto your branch, then glue curled-up strips of construction paper into each flower. For gluing in the strips, we found puddles of glue in the bottom worked best! Roll the top of your scroll around a branch to see how much you need. If there's any excess, trim it away now. Add a thin layer of glue to the top of your scroll & roll around your branch. Let dry. Tie a long length of yarn onto the branch, on either side of the scroll. Hang from the middle, and enjoy! 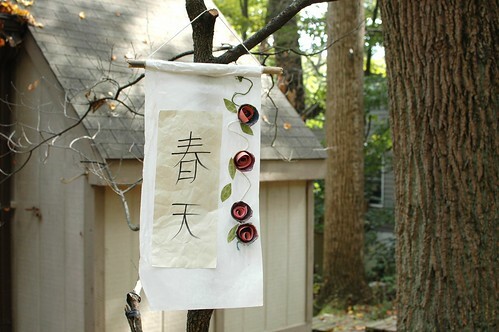 "A hanging scroll is one of the many traditional ways to display and exhibit Chinese painting and calligraphy. Displaying the art in this way allowed public appreciation and appraisal of the aesthetics of the scrolls in its entirety by the audience. It is to be distinguished from the handscroll, which was narrower and often much longer and not designed to be all visible at once. The technique was imported to Japan and Korea who each have their own traditions and aesthetics. Hanging scrolls are generally intended to be displayed for short periods of time and are then rolled up to be tied and secured for storage. The hanging scrolls get rotated according to season or occasion, as such works are never intended to be on permanent display." 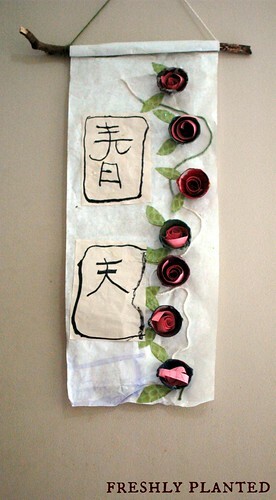 -Instead of egg carton flowers, glue pressed flowers & leaves up the side of your scroll. This also allows you to easily roll it up for storage. 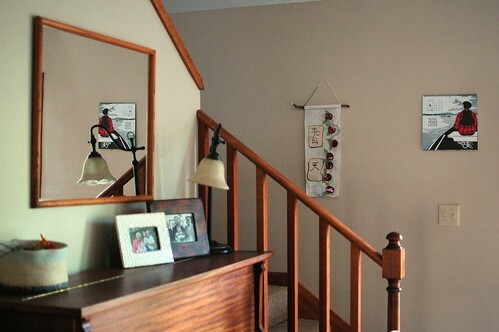 -Drawings or collages of flower images are also a nice decorating option. 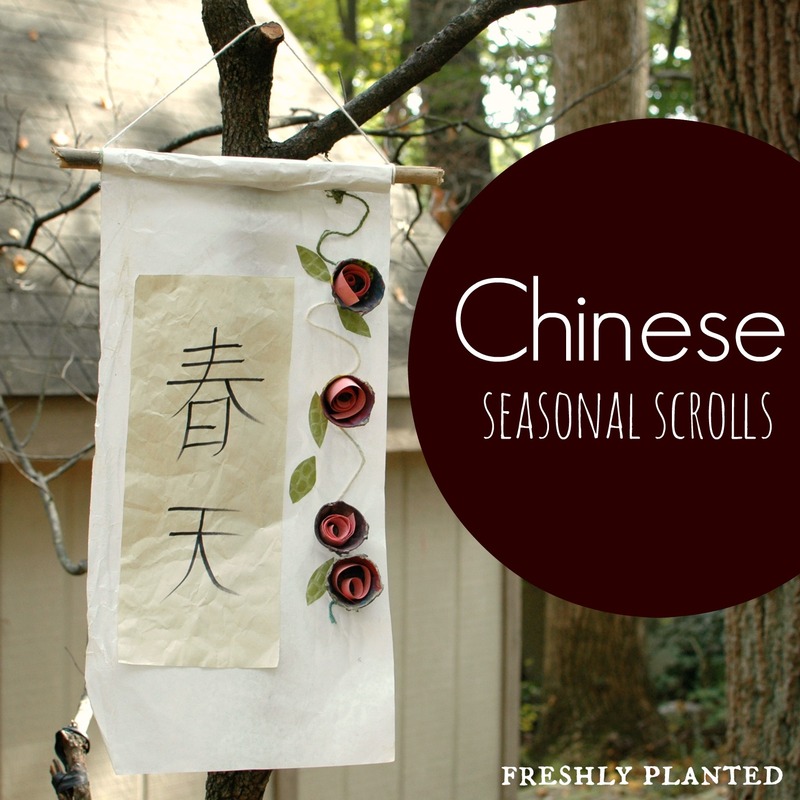 -Traditionally, hanging scrolls have a second rod at the bottom to add weight, so you can wrap and glue a branch at the bottom of the scroll to make it look more traditional. This will also help weigh it down in a breezy house. Our egg carton flowers weigh ours down, but pressed flowers or drawings won't.